Sawaddee Thai & Sushi has been at the top of the list of best Thai restaurants in Miami Beach for awhile now, and for good reason. It’s not flashy. It’s pretty small. But the food is great. If you’ve been following our blog for awhile now, you’ll remember that we’ve have a slight obsession with Thai food ever since our trip to Thailand. One day I had such a craving for Pad Thai! Like, for real, if I didn’t have any I was going to die!! Ok, that may be a slight exaggeration, but only slight. So I asked my trusty friend Google what were the best places to get Thai food in my area. After reading multiple reviews and articles, I realized that one place kept popping up: Sawaddee Thai & Sushi. I grabbed my car keys and was out the door. Like I said, it’s a small restaurant. There’s a small bar area where you can sit and watch your sushi being made, or you can sit in the main dining area. Most of the reviews I read said to get there as they open to ensure you get a table, which makes sense since it’s so small. It turned out to be good advice, because every time I’ve gone it’s gotten pretty full by the time I’ve finished stuffing my face. Their menu is a pretty good size, with lots of drink options as well. I usually order gyozas to start and then Pad Thai for my main meal. I really like the way the gyozas are cooked here. They are deliciously light and crispy. And I love the Pad Thai. It’s so good that when it came time for me to move to a new apartment, I almost didn’t because I didn’t want to move so far away from Sawaddee. So while you’re spending time in Miami Beach, stop in to Sawaddee. Get there early, with an empty stomach, and enjoy their amazing food. I don’t eat much Thai food due to nut allergies, but this place looks so good! I’ll have to give them a call next time I’m in town and see if they can make accommodations! not only does the Thai food look amazing but the restaurant itself look inviting, love how they decorated the place! I like Miami but never had Thai food there, usually stuff my self on Cuban cuisine! Thai food is always my go to, I would definitely try this when I visit Miami. I love, love, love Thai food and I’m always on the lookout for new flavors when I travel. A wicked peanut sauce is my favourite! Something I have learned in traveling the world is that some of the best food can be found in the most unlikely of places. 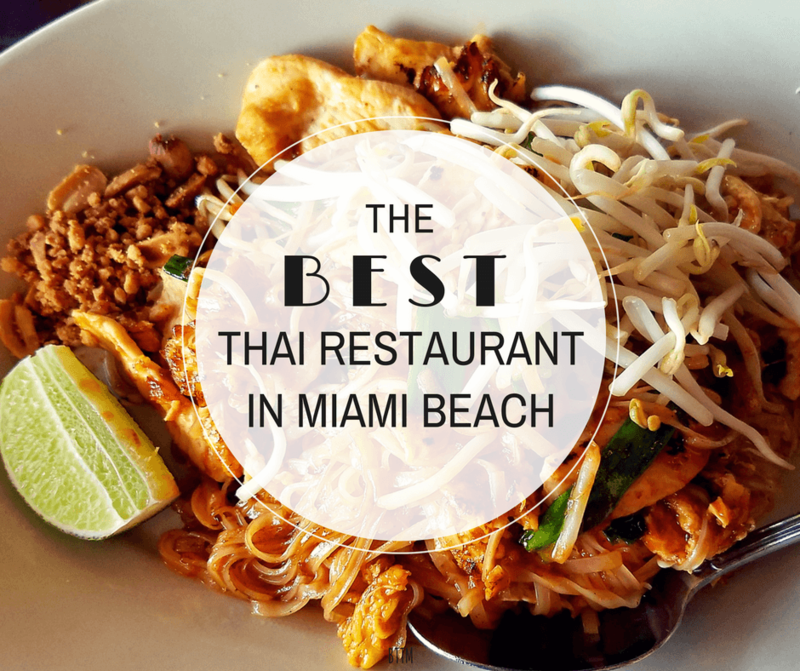 In driving up to the place, many might say that it looks “rough,” but they clearly have their food quality at the top if you’re calling it the “best” in Miami! I love Thai food and this one looks yummy! I do hate sushi though so I am glad there are more options!